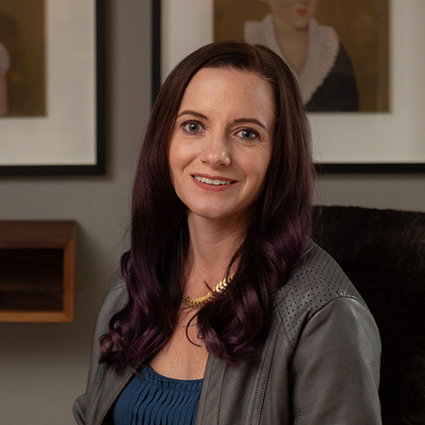 Jessica Love has the unique ability to harness what makes her clients truly unique and bring those traits to life through interior design. 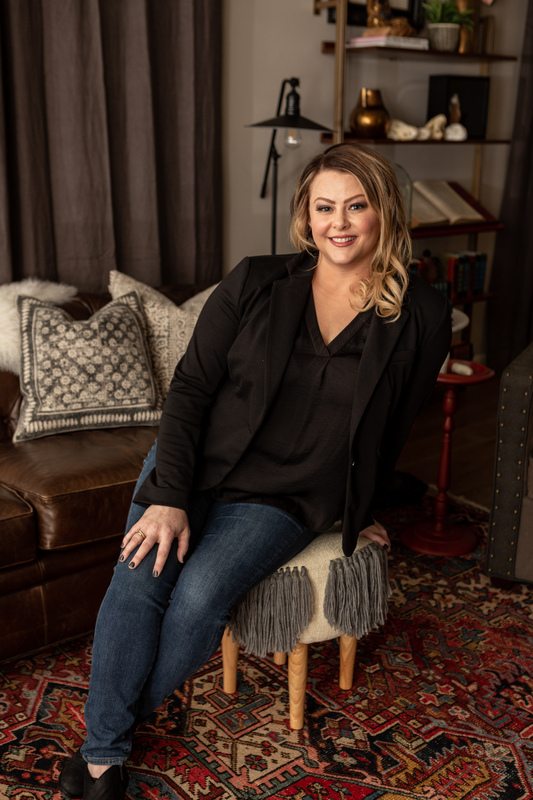 As a graduate of Sam Houston State University with a Bachelor of Science in Interior Design, she learned the rules of the trade at a young age so that she can now—strategically—break them. Jessica believes in individuality over trends and works to bring her client’s personalities through in each and every design. She is intensely creative and highly adaptable. These traits have built her a loyal clientele over the last 15 years who value her transparency and the ease she brings to the design process. Jessica believes that confidence in our lives begin with a well-designed, carefully thought out home. 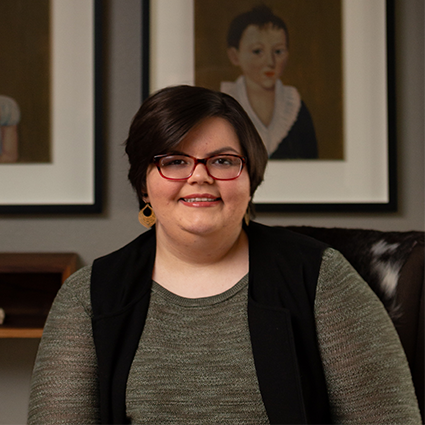 She brings this sense of empowerment not only to her own clients, but to her community through volunteer positions with local non-profits like Big Brothers Big Sisters. Additionally, she serves on the board for Ten Thousand Villages and partners with Austin Habitat for Humanity as the beneficiary of her annual music showcase, Open Door Showcase, during SXSW. As a huge animal lover with two rescue pups of her own, Jessica has volunteered in the past for Austin Pets Alive! and Barkitecture. She also just launched her own 501c3 called Design Changes Lives, whose mission is to design spaces for children in order to build confidence, empower and improve the quality of their lives. Growing up, Mary Cat was drawn to interior design shows on television. She enjoyed watching the “easy” parts of interior design, and as she grew older, she began to take note of the work that went into bringing those beautiful interiors to life. She would drive by construction sites and note the details of the structure being built, like floorplans and the materials used. 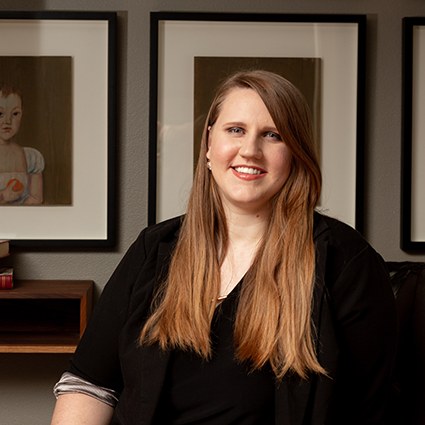 She went on to graduate from the Art Institute of Austin in 2017 with a Bachelor of Fine Arts in Interior Design and became an expert renderer, bringing her own structures to life through precise digital techniques. As a design assistant at Urbane Design, Mary Cat puts her exacting eye to good use as an AutoCAD specialist. She is able to give our clients a detailed look into their future space. She is also responsible for on-site measures, taking notes at initial consultations, ordering and tracking materials, and setting up design trade accounts with numerous vendors. Every successful project includes Mary Cat working tirelessly behind the scenes. Mary Cat’s personal interior design style is eclectic and bohemian. She loves when old world pieces intertwine with modern—like a straight line sofa and a quirky side chair living together in perfect harmony. She’s always up for a challenge, which makes mixing styles and textures right up her alley. Cody’s passion for interior design began while working in retail management. He noticed how the design of a space would affect every aspect of a customer experience—from the way people navigated the room to their purchase decisions. He is deeply drawn to the psychology of interior design and the way it has the ability to make or break a person’s mood in both residential and commercial spaces. 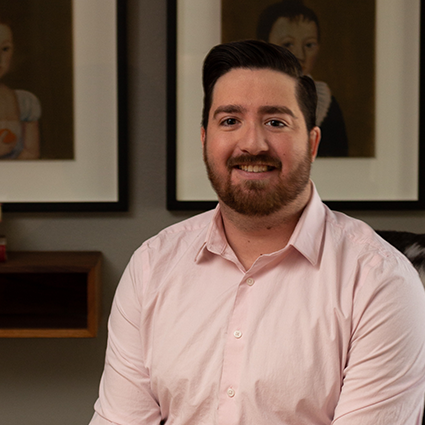 After five years in retail, Cody went on to graduate from the University of Incarnate Word, San Antonio in 2018 with a Bachelor of Interior Design. As Urbane Design’s project coordinator, Cody oversees the day-to-day tasks and delegates work to the project manager and design assistant. His job is to keep the project running smoothly by evaluating what needs to be done, assigning tasks accordingly to his team, and communicating quickly and clearly with clients. He is constantly filling in blanks as a project moves along to ensure that no detail is missed. This results in designs that exceed client expectations. Cody gathers inspiration from nature and his daily interactions with others. His personal interior design style mixes modern and classical design—he loves seeing the two come together to create a masterpiece. Rachel is driven by her desire to see the world through other people’s eyes. She enjoys traveling for the food, culture and fresh perspectives it gives her. She also thrives on listening to others and understanding how they perceive the world, which inspires her to approach design from multiple points of view, as everyone experiences a space differently. Rachel graduated from the Art Institute of Austin in 2014 with a Bachelor of Fine Arts in Interior Design. As an interior designer and project manager at Urbane Design, she works closely with Principal Designer Jessica Love to bring client visions to life. She lends her eye to every step of the process, from concept boards to final selections. She also works as a liaison between the client, contractor and sub-contractors to make sure the project runs smoothly from start to finish. As a natural problem solver, Rachel quickly finds solutions to problems that would otherwise derail a project. Her personal design style is transitional; she loves seeing gorgeous old antiques set in modern surroundings, like a stunningly geometric modern chandelier set against traditionally carved wood paneling. She finds joy in calling attention to the art of contrast. Jenica is the glue of the Urbane Design team who thrives off of close personal relationships with her clients. She tackles a seemingly endless amount of work as executive administrator, but to name a few, she handles big picture tasks like billing, account management, invoices, contracts and proposals while simultaneously checking the small details off her extensive lists of to-dos. She is organized, efficient and empathetic, which keeps the wheels in motion for her staff and her clients. Not to mention, she adds an extra layer of delight to client projects as our resident landscape designer. Jenica is endlessly inspired by the clients she meets and the work that her team brings to life. She loves seeing the “before” of a project so she can watch how the Urbane Design team transforms the space. Interested in working together? Fill out the form below to contact Urbane Design to schedule an in-home design consultation.